In its order, the National Green Tribunal has asked the Tamil Nadu Pollution Control Board to grant the required authorisations to Vedanta-owned Sterlite Copper within three weeks. 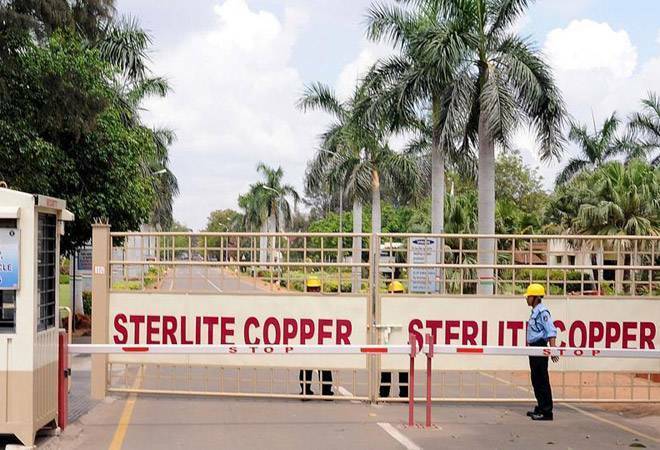 The National Green Tribunal has ordered the Vedanta-owned Sterlite Copper plant in Tuticorin, Tamil Nadu to be reopened early next month. The green tribunal overturned an order by the Tamil Nadu government to close the copper smelter over alleged damage to the environment. In this order, the NGT asked the state pollution control board to pass the required authorisations within three weeks. "Accordingly, we allow this appeal, set aside the impugned orders and direct the Tamil Nadu Pollution Control Board (TNPCB) to pass fresh order of renewal of consent and authorisation to handle hazardous substances, in the light of above finding, subject to appropriate conditions for protection of environment in accordance with law within three weeks from today. The appellant will also be entitled to restoration of electricity for its operations," the NGT said in its order. The electricity connection to the copper factory, which was snipped when it was shuttered back in May this year. In its judgement, the green court noted that the counsel for the Tamil Nadu government and the TNPCB relied on opinions regarding possible pollution from copper slag and gypsum, but both by-products have been deemed non-hazardous in reports by the Central Pollution Control Board and TNPCB. These were even recommended for land filling, road construction, cement manufacturing, etc, the order further said. "Further there is no evidence to show that even assuming that certain components in the water are higher than the standard provided, it has caused any health hazards in the locality and the pollution caused on account of the same to the environment is irreversible and irremediable," the NGT order said. An industry cannot be denied approval or closed permanently unless such things are satisfied by the authorities by scientific data, the green court said. "There is a duty cast on the SPCB as well as CPCB to provide remedial measures to prevent environmental pollution by the industries in such circumstances and without adopting those remedial measures refusing the consent and direct closure on that ground is illegal and not sustainable in law," the NGT said. During the NGT hearing, Vedanta had also offered to invest Rs 100 crore at Tuticorin, officially known as Thoothukudi, for the welfare of people in addition to the regular social work being carried out by it under the Corporate Social Responsibility (CSR). The Sterlite Copper smelter was closed down earlier this year by order from the Tamil Nadu government after protests erupted over alleged pollution by the facility. The matter had escalated after police forces had opened fire at the protestors in Tuticorin, killing 13. The Tamil Nadu government is not in favour of the reopening of the Sterlite Copper plant and has said it will challenge the NGT order in Supreme Court.